After speaking to Cooler Master and Ramboxs about our recent project build, we were extremely excited and honored when they agreed to have our Project MakeMeCooler Doraemon on display, and showcased at one of Hong Kong’s largest retail outlet – Centralfield in Sham Shui Po district. 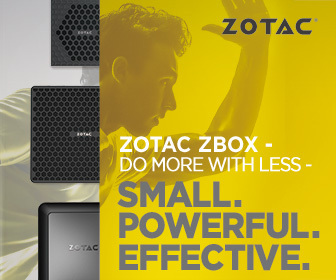 Also, I would like to say special BIG thank you to ZOTAC for sponsoring their GeForce GTX 1070 AMP Extreme Edition (8GB GDDR5). Centralfield has been providing computer products tailored to customers’ needs since 1983. Products include vast varieties of DIY hardware, BTO (Built-To-Order) PCs, Brand Notebooks / Utrabooks, Monitors, Printers, Smartphones, Accessories, Networking hardware and other Digital products.Through our growth and development over the years, we have built and maintained solid relationships with our prominent multinational corporation partners such as Acer, ASUS, Hewlett-Packard, Intel, Lenovo, Microsoft, Samsung, etc. Combined with our extensive experience in computer retail, these bonds have greatly contributed to our long-held position as one of Hong Kong’s market leaders in the industry. We established our SME department in 2002 as a computer products supplier and service provider for local business clients. Ever since, our SME department has grown to include a larger client base of not only small and medium enterprises, but also corporations, government departments, and educational institutions. In 2012, Centralfield continues to expand store fronts to fulfill the market’s ever growing demand. In December 2013, we have further strengthened our relationship with HP. Now, as HP’s Gold Partner, we offer the full range of HP products to Hong Kong companies. In January 2015, we partnered with ASUS and opened a new ASUS Pro-Shop. In 2016, we further developed our own website’s online shopping platform and sought opportunities with third party online sales channels. We have become an active supplier for HKTVMALL since. As a result, our company’s online business has been steadily increasing. Located inside Golden Computer Arcade on 146-152 Fuk Wa Street, Sham Shui Po, Kowloon, Hong Kong. Check out the map below. You take the Tusen Wan (Red Line) on the MTR and get off at Sham Shui Po station Exit D1 or D2. I would like to say a BIG thank you to all our sponsors who have contributed towards the Project – MakeMeCooler Doraemon.